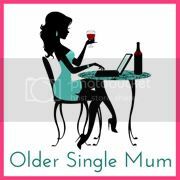 Older Single Mum: Who Rocks Your Socks? This is my Nana, Reeny, still going strong at 97. She rocks my socks, she does! She keeps herself mentally active with Sudoku and Word Searches, crosswords and regular reading and still doesn't miss much. Physically, she is frail, naturally, but still lives alone in the same house she's been in for more years than not, refusing to bow to family pressure to move to my Mum's. She won't even consider going to a Day Care Centre for some social interaction because she doesn't want to be with a load of old people! She fancies Il Divo something rotten and has been a bit lonely since her boyfriend of 23 years died in his late nineties. He asked her to marry him, but she couldn't stomach the football on the telly every Sunday so gave that a miss as well. I guess you know your own mind by then. The real love of her life was my Grandad but she was widowed at 54 once he'd had a car accident and become ill. She still talks very fondly of him and of some of her other regrets too. It makes me question whether I still need to carry mine, if they're still going to be hanging around my neck at that age! On the whole she is fab fun, the children adore her and I hope will remember her in years to come. I once had a vision when she was 93, that she would still be with us when she was 97 and it was her Birthday just before Christmas. I am praying for another one but it hasn't come yet. She's survived a couple of heart attacks plus several Angina ones and soldiers on with crippling Arthritis, revolving her life around the Mobile Library and her fortnightly delivery of freezer to microwave meals, her hairdresser, gardener and cleaner, which makes her sound posh, but on the contrary, she lives on a Council Estate where all her neighbours look out for her. It's amazing what you can get help with nowadays. She loves a laugh and maintains her curiosity about everything, remembers King George V and Queen Mary, his wife 'very tall - always wore big hats,' and all that business with Edward VII and that 'avaricious' Mrs Simpson, his abdication and his brother Bertie coming to power, eventually passing down to our present 'very good Queen' Elizabeth II. She can also recall incredible details about her holidays watching a DVD the family had converted from old cine film from when she was younger, also thanks to which we can see my sister and me running around as tots - a source of sheer delight (and confusion!) to my own two children and she gives us an impressive running commentary about who, what, where and when throughout it. My biggest regret is not having spent as much time with her as possible over the years. She lives in Nottingham, whereas we've always been down south. But David Walliams is right about old people not necessarily being boring in his Gangsta Granny book / film, although if I were to refer to her as old she'd have my guts for garters. She's always got some great words of wisdom for us all. I'm proud to know her, to love her and have a Great Nana for the boys who is exactly that - a truly amazing inspiration. Edit - My Nana never did make it to 98. She passed away in June this year whilst having a scan on her heart in hospital. I'm so glad she didn't fall and suffer, but we all miss her terribly and will be grateful for ever for having had her in our lives. It's lovely to read this. It is so easy to write off the older generations. They have so much life experience and wisdom, I don't know why we don't listen more and make the most of them. I wish so much I'd had extra time with my grandmother to ask her about her life. I recently found out through doing the family tree that she was a milliner before she got married and was originally from yorkshire, I'd have loved to have known more about that because she certainly hid it well with her polished 'posh' accent! My Husband's grandmother is still alive and I've enjoyed some great conversations with her, including a revelation about a Polish lover in the war....something my MIL certainly was not amused about when I started repeating...so I promptly shut up! Oh my, what a lovely post! And your Nana sounds amazing and lovely! I think my stepmother's mother was always a big inspiration to me. Thank you, she is and she isn't afraid either! She's just lovely. Love that her boyfriend was 100 and she wouldn't marry him! Thank you, she i. I forgot to mention she went out with him for 25 years so have adjusted the post! What a bloody lovely post Anya, and what a wonderful lady she sounds. My Great Aunty Stell who isn't actually a relative but a family friend recently turned 100 and it's amazing to think of what she's seen in her lifetime. How wonderful to still have your Nana. She sounds amazing. My grandparents have all died and I still miss them 25 years on. 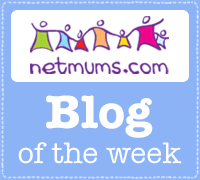 This is a wonderful idea for a post and your Nana sounds like an inspirational lady to have in your lives. I also love that she was pragmatic enought to refuse marriage again! Sounds wonderful! Both of my grandmothers lived well into their 90's, sadly my parents did not. Cherish your grandmother. Oh she sounds wonderful! I have a Gran who has been going strong at 93 but sadly over the past few months has become a little frail. And so lovely to have that old film of you as a child. I'm still laughing at her boyfriend of 100 and his tv football; we all enjoyed Gangsta Granny over Christmas too. Happy New Year to you! What a lovely inspiring lady - and so nice to hear you talk of her so fondly. She reminds me very much of my own mother in some of the things you say - she was also an amazing lady.